Putting a house on rent yields a lot of time and drives you into a turmoil. It takes you all the way from dealers to brokers to be sure of giving your house in safe hands. Spending a few extra pennies, you all try to find an easy loophole to rent your property in time, because locking up a house doesn’t serve any monetary sense. A lease agreement is a must, specifying the person in whose name the house is taken, the amount of rent you pay and the period for which it is valid, apart from other legal clauses. Most of us face a prevalent dilemma of going for a company lease or personal lease. In a personal lease the agreement is signed by you and the tenant having terms and conditions that are mutually agreed upon. You will have to do all the paper work by yourself or pay a little extra to the broker to get your work done while the case is utterly different for a company lease. A company lease keeps you away from the hassle of paper work. The company is held liable for any kind of damage or unsettling disputes. The main advantage for an owner to lease to a company rather than an individual is that someone from the company is always answerable. For example, if it’s a company lease, and the tenants suddenly packs up and leaves, the landlord has recourse to go to the company and claim rent/due process. At times in a personal lease, the tenant is not able to pay the rent and refuses to leave, the landlord gets stuck. A company lease avoids that also since once we can establish that the company has funds (through its financials), then we have recourse through legal means to the company. We staunchly believe that a company lease is way better than a personal lease. 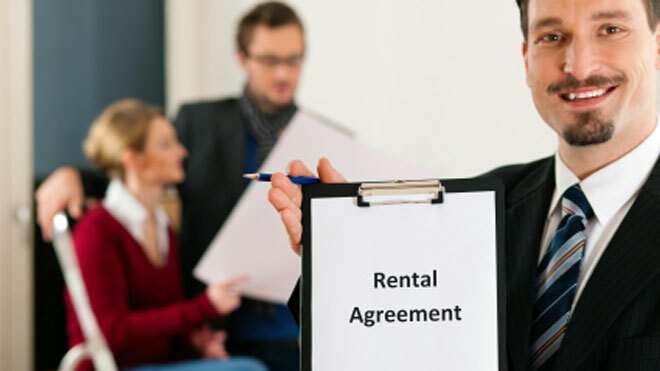 Having a company lease gives a sense of security to the owners whereas you will encounter absence of security in a personal lease as tenants tend to stick to the place even after the maturity period. The time element plays a dominant role as a corporate lease is understood to be for a longer period of time, which is usually agreed upon at a flat 10% increase year on year which dismally holds back the owner from commanding the market rent but it also keeps you away from the fuss of searching a new tenant all over again. So to have an enduring and secured lease one should always go for a Company Lease.